For a home studio and workshop, Stephen Temkin's set up is pretty cool. He lives in a large house in downtown Toronto, Canada. The work is largely done in the basement (where the ironing and larger equipment is) and the third floor (trimmings, sewing machines). The living room becomes a showroom when customers visit. I went to see him earlier this year, while visiting Toronto for a book-launch event at the newly reopened LeatherFoot. We commissioned a hat, which has just been delivered and will be reviewed in a couple of weeks (Stephen has around a 20-week lead time on new hats). People often get confused with the name of the company, thinking he is Leon Drexler rather than Stephen Temkin. In fact the company is a composite of Stephen's father's first name and his mother's maiden name. Stephen was a writer most of his life, largely covering food and wine, and is a qualified sommelier. 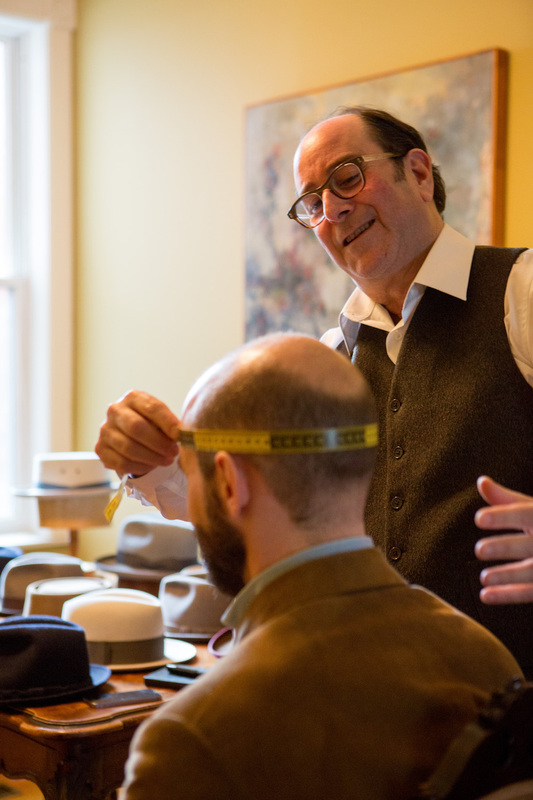 He started the Leon Drexler label in 2009, having spent two years sourcing hat-making equipment from around the world. 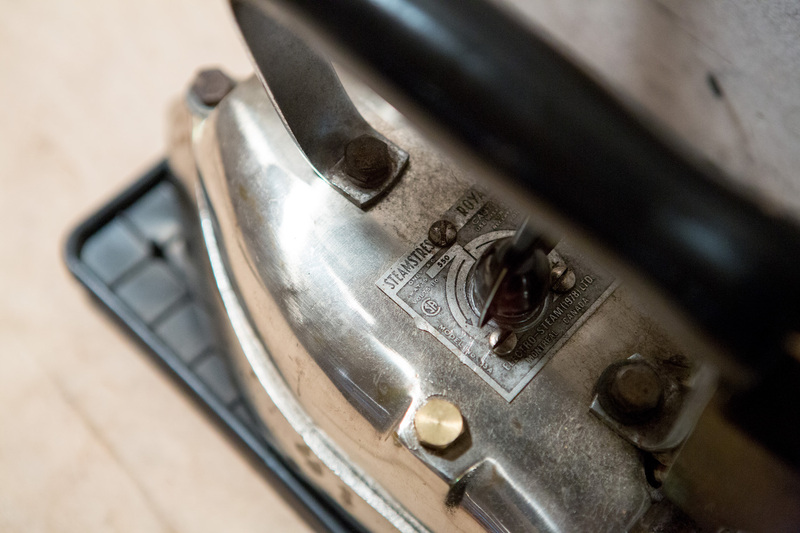 It is this equipment that most strikes the eye as one tours the house. There is the huge hot-sand machine that is used to set the brim of a hat (above). There is the collection of curling shackles and tollikers, which curl the brim or help set a crisp line between the brim and crown (below). And most crucially, there are the wooden blocks and flanges upon which the hat has to be formed. 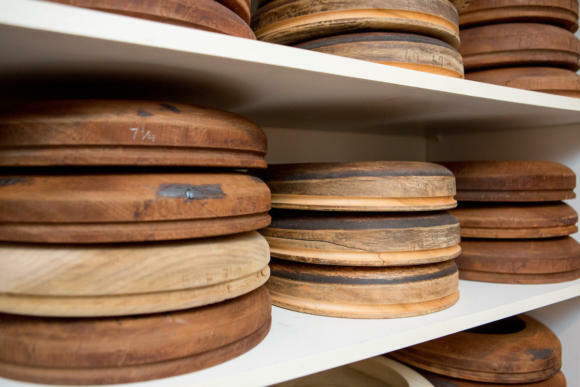 The difficulty with making lots of different styles and sizes of hats is that most require their own wooden hat block to shape the felt around, and their own flange to press the brim onto. So if you want a six-inch-high crown, in a size 59 and a tapered shape, that is one block. A size 58 would be another block. A flat top yet another. You can see how the permutations could quickly get out of control. Often the specific shape of the top of the crown does not require its own block (it is set with steam, or can just be left to form as the wearer uses, creases and pinches it; straw hats all require style blocks), and sizing can be slightly increased or decreased. But many are still required, plus the oval flanges for the brim sizes. Stephen has four sets for four different styles, each in all the sizes. "Finding all those old sets was very hard," he remembers. "After two years I found two old sets from the 1930s and one from the 1950s. I've more recently had one made by a new maker in Florida who is proving good so far." "I've also had to use him to make bigger sizes to add onto those old sets. Men's heads, as you might expect, are a lot bigger than they used to be." 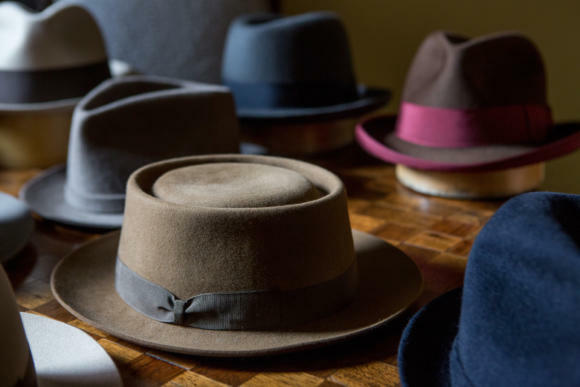 Stephen makes a broad range of styles, though the felt is all beaver (the best for retaining its shape, strength in relation to weight, and softness) and all hats are made to measure, and made to order. He is particularly known for curled, bound brims. This is largely because it's a style that requires a lot of hand work and therefore factories rarely make any more; and if they do, they don't do it the old, elegant way Stephen does with the brim being curled and the binding sewn by hand at the same time. It's also quite a distinctive style, as shown above. This leads neatly to the question: why have a custom-made hat? After all, felt is a wonderfully adaptable material. It will mould to the shape of your head, fitting it pretty precisely. 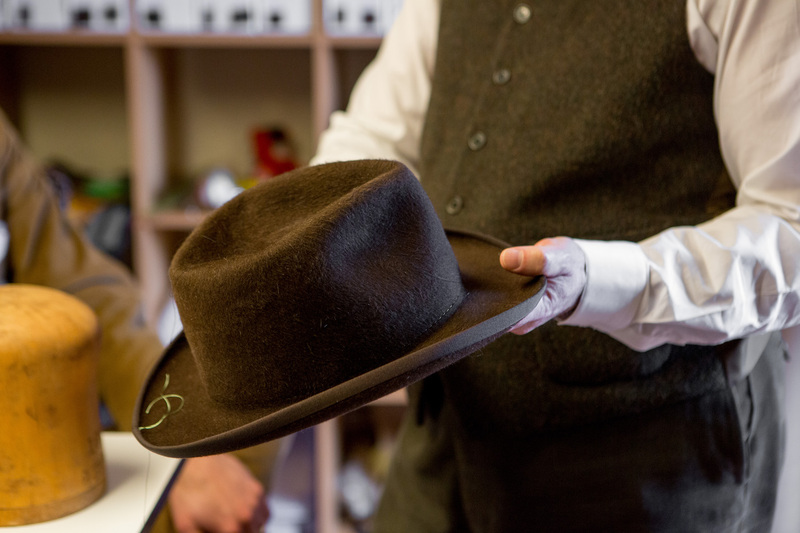 A large range of styles is still carried by the likes of Bates and Lock & Co - and even more by new start-ups like Laird Hatters. Plus, custom makers can't just make anything, unlike a tailor or shoemaker - they need all those blocks. So is it just about fancy colours? But there are fit issues. My head is a long oval, for instance, which is common but in the minority, and as a result all ready-made hats have a small gap at the sides. This can't be completely rectified without another set of blocks for long-oval heads; but Stephen does use a few techniques including padded tape to amend the blocks - both changing it to more of a long oval, and to cater to people whose heads are between sizes. Then there are those colours. Not purples or reds, but shades of grey, green and brown. The range of styles in most shops means they will only carry one grey, a couple of browns, one green and perhaps a navy. Compare that to the shades of brown and green in the stack of hoods I looked at in Stephen's house, above. Having this broader choice is partly about finding something that suits your skin, clothing or style more, and partly about simply being unusual - not having the shade that everyone else has. On my hat we also picked a particular finish, but I'll go into that in my review post. Stephen also does two weights of hat, for colder and warmer months, with the latter lined in linen and with a perforated sweat band. Then there are the hat bands. It's amazing how much a small change in the tone of the ribbon can make the hat appear more green, brown or grey. Just have a look at the selection I was picking from below, and consider how each changes the appearance of the felt. Of course, you don't need to go bespoke to change the ribbon. 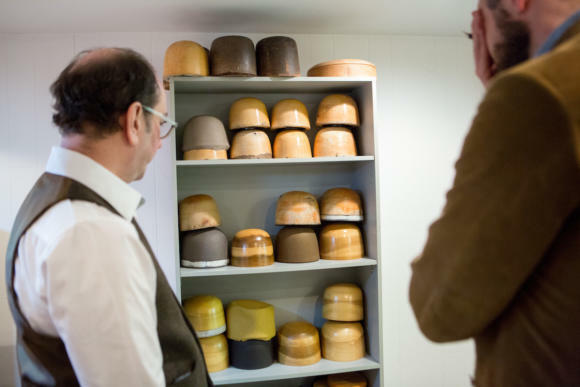 But most shops don't have much choice - Stephen has just over 60 colours, mostly old French dead stock. He now has about 26,000 metres in total. That range and the impact that ribbon can have is almost reason enough on its own to have one custom-made. 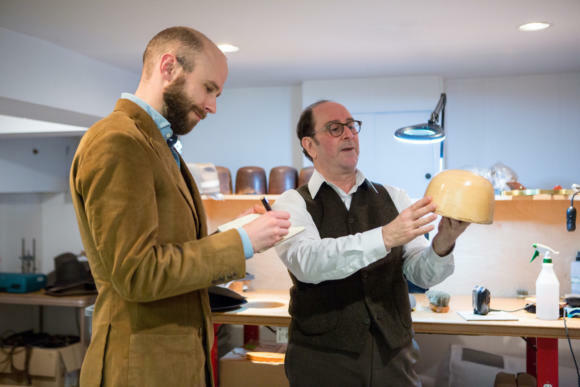 You can follow the discussion on Stephen Temkin of Leon Drexler custom hats, Toronto by entering your email address in the box below. You will then receive an email every time a new comment is added. These will also contain a link to a page where you can stop the alerts, and remove all of your related data from the site. Hi, unrelated question- could you recommend literature about women’s haute couture that’s focused more on the ateliers and actual craftsmanship than the typical PR junk? Thank you! I find it interesting it’s only been in menswear where we’ve seen general interest in luxury craftsmanship really take off in the past five years but not so much with haute couture?? What a find – well done. A brilliant article and so nice to see people offering this kind of hand work again. I am leaving now for Toronto! Having bought and worn a decent panama hat for the first ever time this summer, I’ve realised that hats are definitely something I can get on board with. My only concern with regards ‘city’ hats is that they are now so uncommon as to be almost considered an item of costume and are therefore likely to draw a lot of attention when one is out and about. You’re right, they stand out a lot given how much they alter the silhouette. Which of course they can, they just feel they don’t look good in one because the one time they picked one up and tried it on (in any style and any size) it wasn’t perfect. Which is just bizarre – you wouldn’t be that cursory with any other type of clothing. I have purchased a couple of hats from them before although I don’t really have a benchmark to compare with since they are my first hats, hence the initial question. 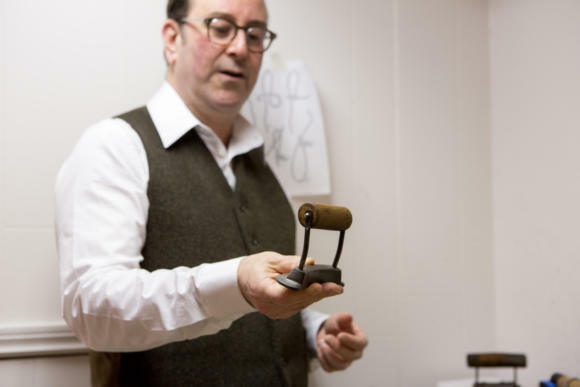 Hi David, between Lock and City Milliner it’s the same issues as raised in this post – whether you want personalisation, a little better fit etc. By “custom maker” you are presumably talking about MTO rather than Bespoke? Surely bespoke shoe makers suffer similar issues with having to store all the customer lasts? Did get my head measured with a conformateur in Lock & co once… raised questions on my ancestry and made my wife swear that we’ll only have kids if she’s guaranteed a c-section. But making a hat block for every new hat is not practical, particularly given the cost of doing so relative to a hat. (And there are very few people who can do it). 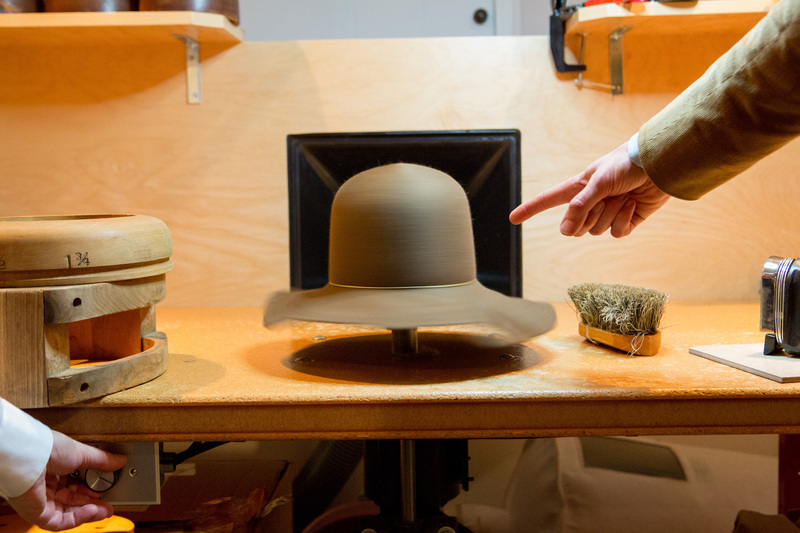 Stephen adapts existing hat blocks with the use of tape; some hand shaping and stretching is also possible. It is on these grounds that it is called custom, but he deliberately does not call it bespoke. It is perhaps most similar therefore, in terms of shoemaking, to an ‘adjusted last’ model such as Saint Crispin’s often employs, where a new last is not necessarily created, but an existing one temporarily amended. unrelated query. I am currently considering commissioning four business suits (two double-breasted and two three-pieces). As of right now, the only two options I am certain about are a double-breasted Cifonelli suit and a three-piece Kiton suit. What would you suggest for the remaining two pieces? I was thinking one Savile Row tailor for the second double-breasted (either Anderson & Sheppard or Chittleborough & Morgan) and another Italian tailor (Rubinacci, A. Caraceni or Solito perhaps?) for the last, three-piece suit. Hi Giovanni, could you please leave this comment on a post related to one of these tailors, or at least to suits? Done. Please delete my comment here if you find it extraneous to the original article. Cheers. 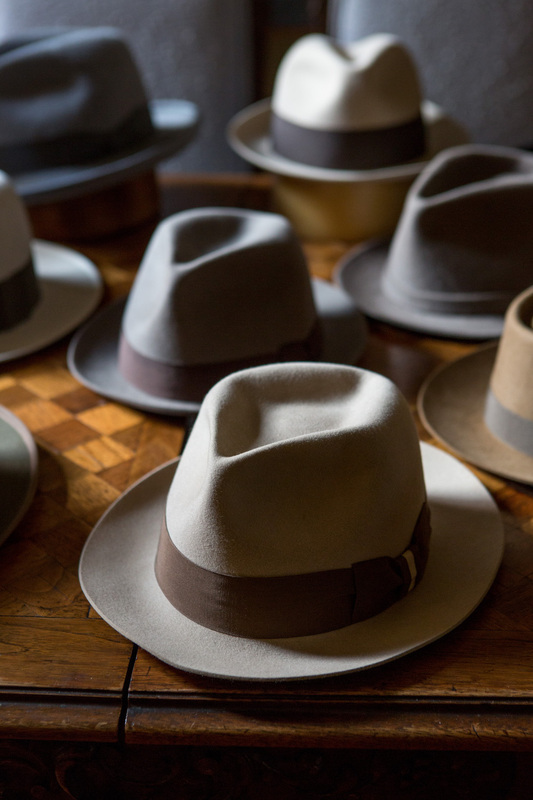 The hats all look beautiful, and can’t wait for your full review – most definitely would fly up to Toronto for a hat if I hear good things. I’ve been wearing hats for 17 years now, mostly all Borsalino and Lock, that is until I was introduced to Optimo in Chicago about 6 months ago – truly a work of art, with an attention to the craft of hat making like no other. 5 hats in, and I haven’t looked back. The most enjoyable part of the experience there is meeting people who have flown from all across the world just to get a peek at the craft. Great write up, as usual. Thanks for your plethora of information! I’ve brought two pairs of Church’s and a pair of Crockett and Jones off of Ebay over the years. They’re all in need of resoling, who would you recommend in London? I’ve seen KOKOs in East Finchly mentioned in the past on a few forums but nothing recently. Classic Shoe Repairs, Islington. Hands down. A great article and I just love the look of Stephen’s work. That said, I don’t think hats are for me simply because they result in a very dodgy barnet. That’s probably why most hatsters are follicly challenged and if I were to join that club I’d certainly be on a plane to Toronto. Wonderful article, and good to see a step outside the London-Paris-Milan-Naples axis! Toronto has a few young bespoke footwear makers who might be worth checking out as well.. 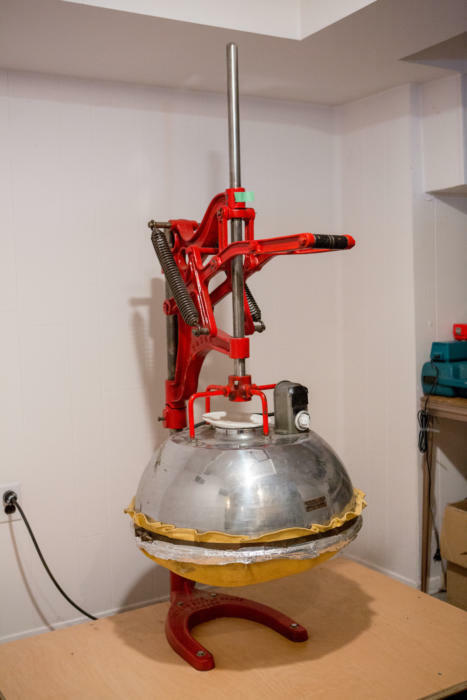 Thanks for this article, and for highlighting a craftsman from my native Canada! I’m wondering what colour is best for a cold weather hat. I am purchasing a tweed brimmed hat, and debating between a dark grey and a brown colour. The coats I am likely to wear it with are gray, navy, and black. My skin is brown and hair is black. I’m essentially debating whether it is better to pick gray which will be consistent with my clothing and hair, or brown which will be consistent with my skin but provide more contrast with my outfits. Your thoughts and those of other readers are most appreciated! 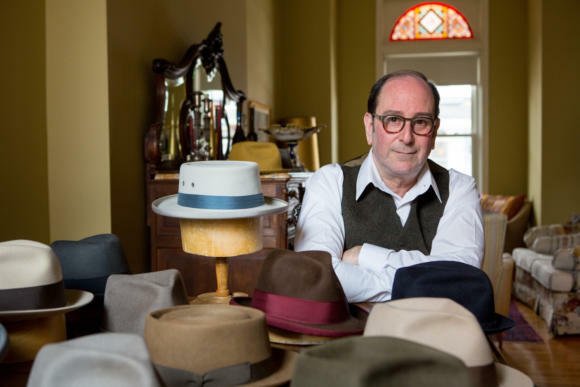 As an owner of a made-to-order and made-to-measure Leon Drexler fedora, I can honestly say the consultations and personal fittings at Stephen’s home studio were a highlight of my many years of hat shopping. 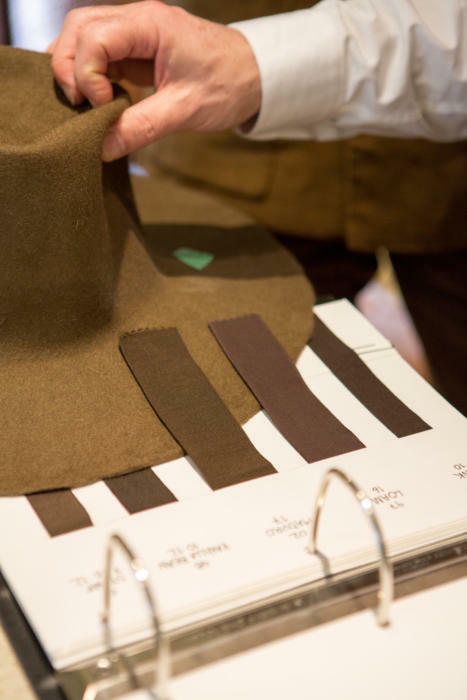 Stephen’s attention to detail and craftsmanship is matched only by the patience he exhibited as I pondered over the many samples of pure beaver felt and grosgrain ribbon. After years of wearing “fine” hats – incl. 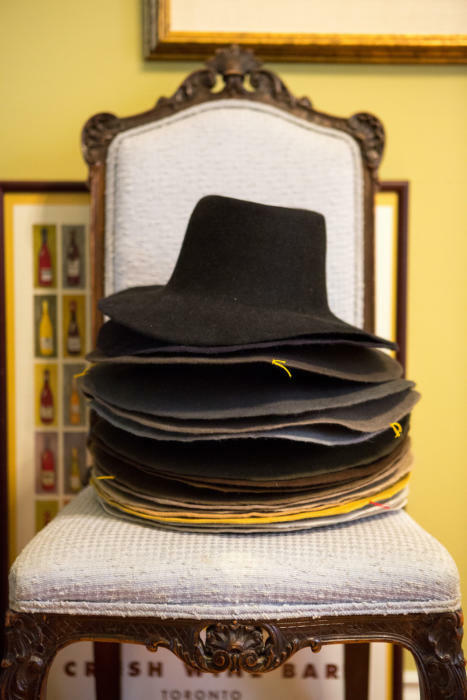 Borsalinos, Biltmores, Stetsons, and a Montecristi Panama – I was in search of my “finest” hat, and The Gaffer (a diamond crown fedora) that Mr. Temkin delivered almost a year ago, is truly that. I opted for a galloon-edged brim bound in matching grosgrain to finish it off, and the hand-stitched artistry that went into that aspect of my fedora is far superior to any I have seen on high-end homburgs. 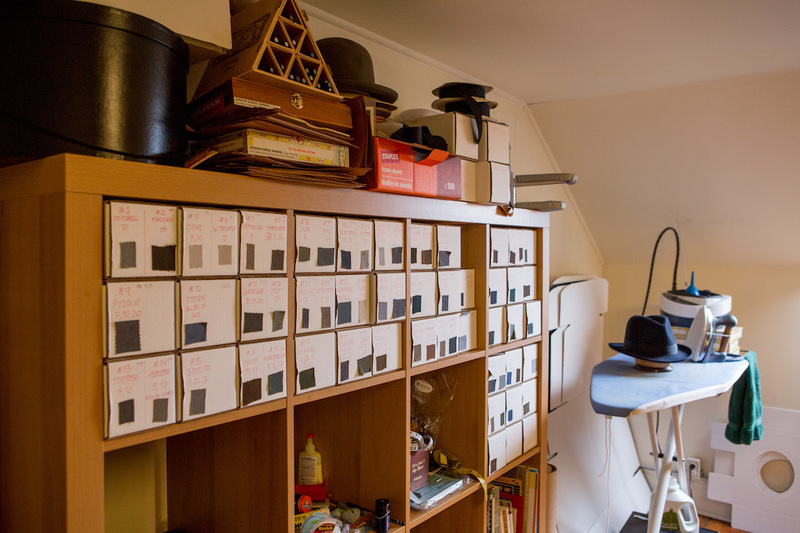 I would highly recommend the trip to Leon Drexler in Toronto for any fedora aficionado; fortunately for me, I reside less than an hour north of Stephen’s home studio. Let’s be clear, neither Bates nor Lock & Co (and probably not Laird) have their own manufacturing facilities. Rather, they are farmed out to manufacturers who will make for them on their behalf. Have you posted a review of the hat Simon? I’ve tried a couple of searches on the PS website but haven’t found it. 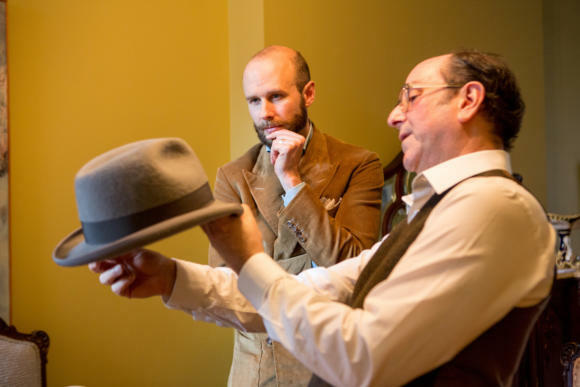 Dear Simon, have you any experience with hats of linen like Lock’s San Remo blue trilby? What is in your opinion more duranle for a hat: linen or straw?